My roommate is abandoning me (errr... getting married... whatever...) so we had to throw a party! Her wedding color is blush, so everything was blush colored at the shower - including this yummy white sangria! I made it mainly because the color went with the theme - but It was so refreshing, I will most definitely be making this again soon. 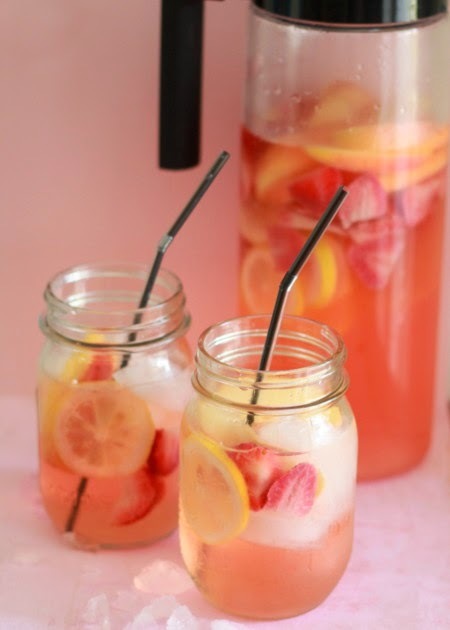 Add lemon slices to a large pitcher, then the apples, then the strawberries. Pour the wine and rum over the top. Cover and place in the refrigerator for 4 - 5 hours.